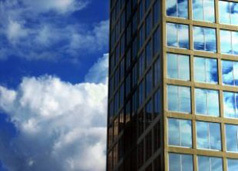 Visit www.kingwest-condo.com for up-to-the-minute Toronto Loft and condo information! Loft living is a lifestyle....a unique urban space that has contributed to the fabric of Toronto. Loft living not only defines the "New Toronto," but has also revolutionized development in the city. While all Toronto lofts are unique, they all have one thing in common: Space. In a city where space is limited, Toronto lofts offer open concept floor plans that utilize space, and natural light to give loft owners a feeling of calm, and serenity. Characterized by high ceilings, wood beams and support columns, exposed duct work, brick walls, over-sized windows, and open living space, Toronto lofts offer condo hunters a healthy alternative. In Toronto, “Condo for sale” signs are everywhere. Why? Official real estate figures show that not only are Condo sales prevalent overall but that condo promoters and condo builders in Toronto can barely keep up with the demand in sales. It is not rare to spot lineups at Condo Sales Offices throughout the GTA and mainly in the core locations close to the trendy downtown business, entertainment and shopping areas, which enjoy a welcoming neighborhood-oriented facelift. However this shift in Toronto Real Estate Sales seems to go beyond simple economics and reflects a new urban lifestyle and a need for practical community living. 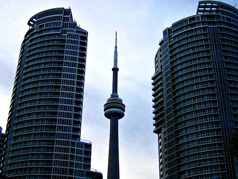 Condo Sales have tanked in most major International Housing Markets - Except Toronto! Toronto’s housing market hasn’t tanked like London’s or New York’s. Just take a look at who’s buying. “First-time buyers are still leading the charge, taking advantage of every resource available to achieve home ownership. They’re determined to get into the market sooner rather than later. If suburban locations, smaller condominiums and town homes, or a little sweat equity is what it takes to get into the market, these purchasers are game.” “Doom and gloom reports coming from south of the border have yet to hinder overall momentum,” says Michael Polzler, Executive Vice President and Regional Director, RE/MAX Ontario-Atlantic Canada. Inventory levels, however, remain one of the foremost concerns facing purchasers. Watching the global real estate market from Toronto these days can really put a smile on the face of your real estate dollar, which has successfully weathered the storm. As the sub-prime meltdown spreads from city to city like wildfire, expensive condos from London to New York now sit on the market for months at a time. The Toronto Condo market is doing better every day and has actually assumed a role of economic stability and envy. According to many respected real estate experts and objective observers of the North American markets, Toronto assumes the mantle of condo capital of North America. Even if Supply and Demand meet at a price range between 300 000$-400 000$, for the properties most sold, the typical Toronto Condo Buyer is still quite privileged, limited mostly by Condo Sales Supply. CONCLUSION: Toronto, Ontario, Canada is presently recognized as the only major English-speaking city in our hemisphere to have plowed right through the 2007-2008 crisis without so much as a blip! If you find the Toronto Condo of your dreams…seize the opportunity because the Real Estate Market may not wait for you much longer!